Outdoor Kitchens, Fireplaces, Walkways, Stone Walls, and more. 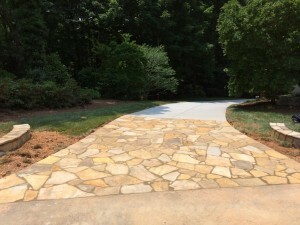 Sudlow Concrete is one of Atlanta’s best stone masons and leading provider of custom designed stonework to transform your outdoor living space into an elegant oasis. The aesthetic of natural stone will add a sense of timelessness to your home that will mark it with pronounced craftsmanship and incredible beauty. 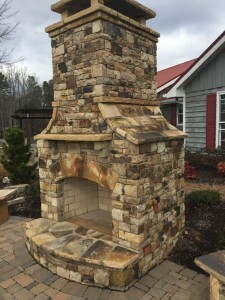 Distinguish your Atlanta residence from the rest with creative stonework for your outdoor living spaces including stone patios, outdoor fireplaces and fire pits, outdoor kitchens, outdoor bars, decorative walls, retaining walls, ponds, driveways, and much more. Regardless of your hardscape or stonework need, Sudlow Concrete’s expertise in stone masonry can help you fulfill any stonework project with the utmost precision, detail, and creativity. Sudlow Concrete designs some of the most attractive outdoor fireplaces in the city. Outdoor fire pits give Atlanta residents the ability to enjoy the outdoors in comfort across all seasons. Stone fire pits are also great for entertaining, grilling, and provide a beautiful focal point for outdoor events. What better way to bring family and friends together in the great outdoors than a custom designed stonework kitchen or bar? An outdoor kitchen is the epitome of outdoor living and a great way to entertain your guests. Stone decorative and retaining walls provide both functionality and visual interest to your home. Retaining walls are perfect for controlling erosion and surface runoff while also adding stone texture to break up and frame greenery or other landscaping features. 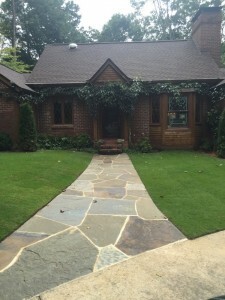 ways and flagstone walkways of varying designs depending on your personal preference. Stone patios are essential for outdoor comfort and entertaining. Some of the best family memories are formed sitting on the patio enjoying the company of loved ones in the outdoors. Stonework patios really add that personal touch to make your outdoor living space feel special and welcoming. Sudlow Concrete specializes in flagstone patio designs to give your patio that extra boost of elegance. Let’s be honest. There is nothing more soothing than the sound of running water. Although Atlanta is not well known for our natural water sources, you can easily bring that relaxation to your outdoor home with stone ponds. Framing a pond with stonework detail truly adds visual interest and a sense of timelessness to your yard. Stone driveway aprons tie in the entrance of your driveway to your home. 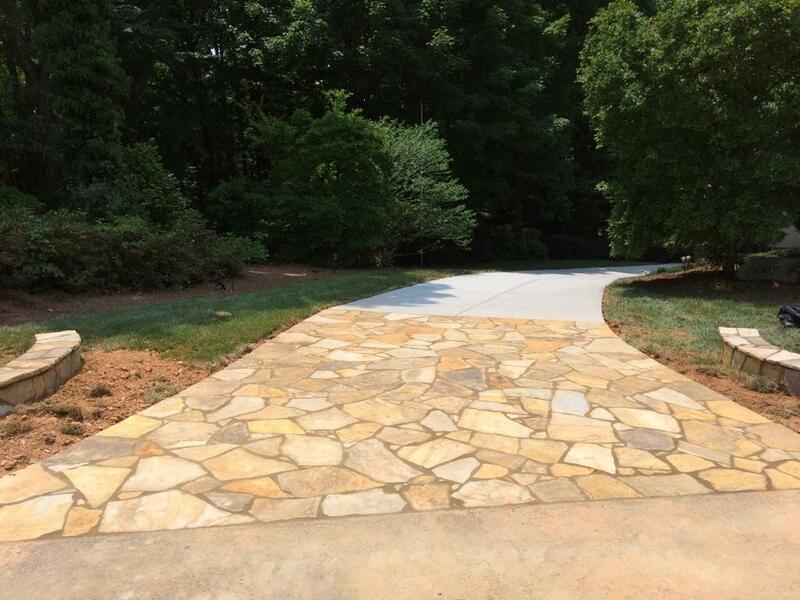 They are the first thing you see when you drive into a driveway and will add a nice touch of elegance to a standard concrete driveway. 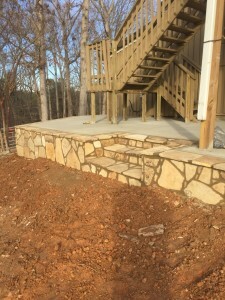 With over 15 year’s of experience in the Atlanta stonework and masonry industry, you can trust Sudlow Concrete to deliver the finest stonework creations for your living space. We pride ourselves in the gritty details of each of our projects to ensure our work cunningly designed and visually stunning. 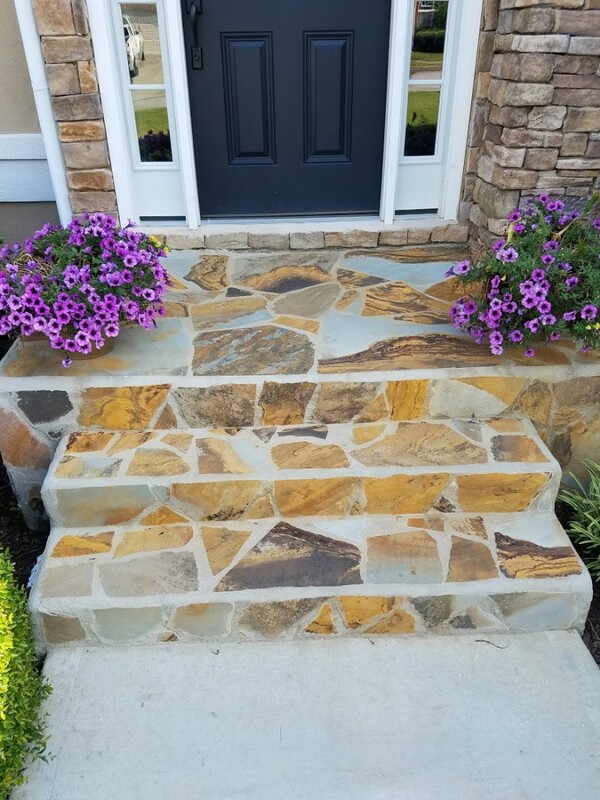 The art of masonry is about bringing elements from the indoors to the outdoors to customize a living space that is tranquil, warm, and personalized. Stonework gives you the creative ability to make your outdoor living space have a certain ambiance that reflects the inside of your home. 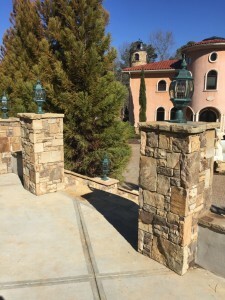 Stonework in Atlanta is becoming a popular and growing trend in outdoor design, because it gives residents a way to maximize the living and entertainment space of their home. The functionality that stonework provides will also give you the ability to entertain guests, family, and friends and enjoy the outdoors across all seasons. Most Atlanta homeowners tend to focus on the indoor elements of a home to increase its value, but can tend to neglect the property’s outdoor footprint. Remember, it’s the curb appeal of the home that draws people in, and first impressions count the most. Stonework will not only add distinguished beauty to your outdoor living space, it will also increase the value of your property dramatically. Most potential homebuyers agree that the outdoor living space of a home is one of the most attractive qualities. Investing in stonework detail is one of the most impactful design elements you can add to your home that is durable. 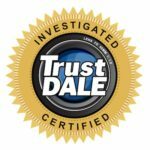 Please browse our photo gallery to see actual examples of our stonework projects and other services we’ve completed. 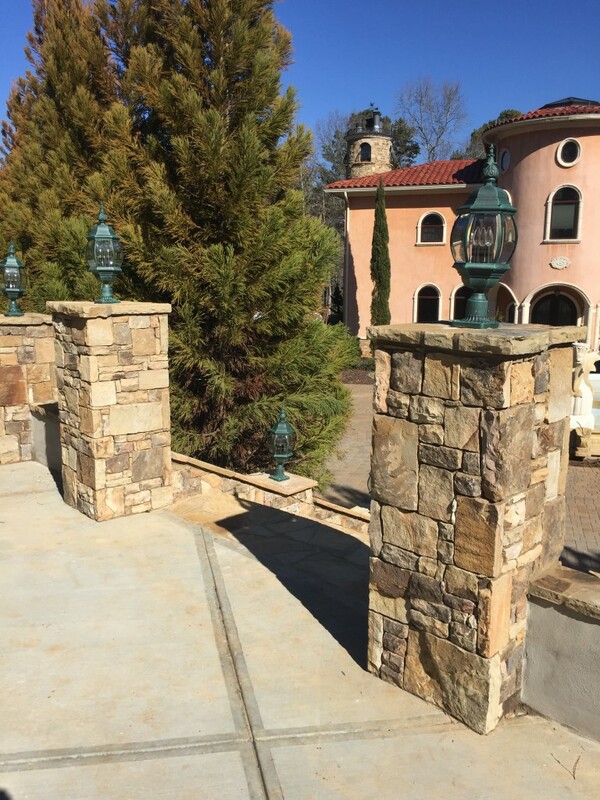 If you are interested in another special stonework project, get in touch with us at 404-285-5995. We look forward to hearing from you and building you a stonework project you will love.